The people who work here are compassionate and the patients are so filled with hope. 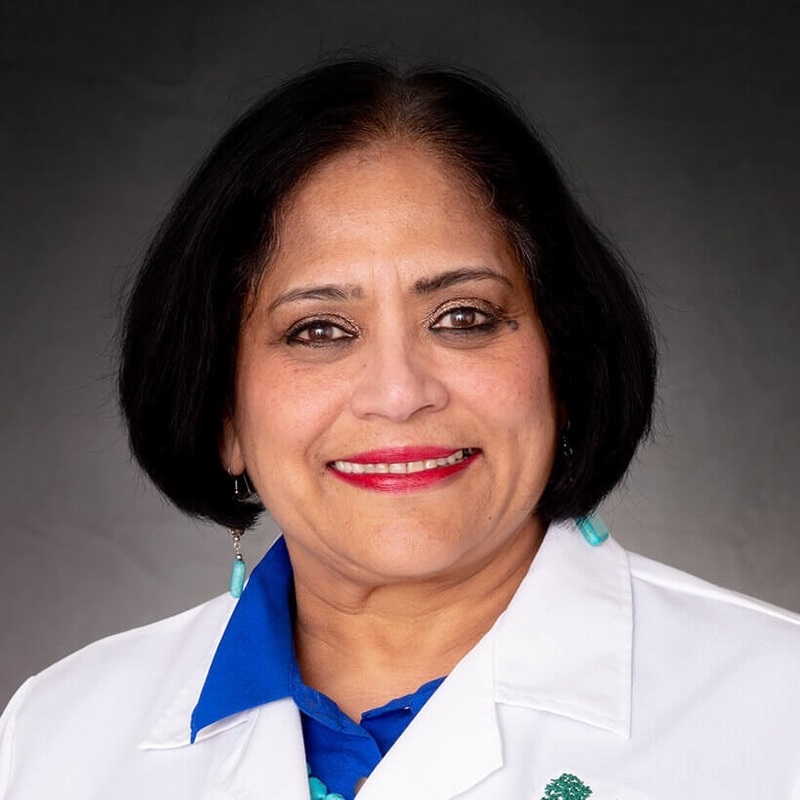 As an internist/intake physician at Cancer Treatment Centers of America ® (CTCA), Chicago, Dr. Glynis Vashi is one of the first people you’re likely to encounter at the center. She has multiple titles: Chief of Medicine, Lead Physician of the New Patient Clinic, and Medical Director of Nurse Navigation. An Internal Medicine Physician, she handles medical problems that may arise during the course of your admission process, and as such, is instrumental in helping design a treatment plan to meet your needs. Prior to joining CTCA® in 1992, Dr. Vashi served as a senior staff physician at the Henry Ford Medical Center in Woodhaven, Michigan. Before that, she held clinical positions both in Saudi Arabia and her native India. A member of the American College of Physicians and the American Medical Association, Dr. Vashi received a medical degree and post-graduate training at the University of Mumbai in India. She completed an internal medicine residency at Michigan State University. Dr. Vashi has worked in several facilities, both in the U.S. and abroad, but sees a real difference at CTCA.